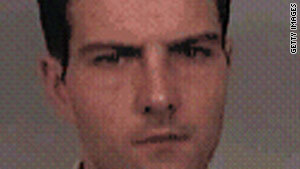 Societe Generale says supervisors at the bank were not aware of the alleged unlawful activities of Kerviel (pictured). Paris, France (CNN) -- French prosecutors demanded Thursday that trader Jerome Kerviel serve four years in jail for allegedly betting €50 billion ($61 billion) of his employer's money without its knowledge. A former employee of French bank Societe Generale, Kerviel went on trial earlier this month on charges including forgery, breach of trust and unauthorized computer use. The banks says the unhedged bets cost it almost $6 billion. Kerviel faces a penalty of up to five years in prison and a fine of up to 375,000 euros ($447,500). Societe Generale also plans to ask that Kerviel reimburse it for its losses, which it discovered in January 2008. Kerviel, who is free on bail, traded European index futures for the bank and strenuously denies the charges. He claims he wasn't the only one flouting the rules and did so with knowledge of his superiors. "During three years, these managers earned colossal amounts of money out of bonuses based on the ever growing results that I was making for the bank," he said. Societe Generale says that at no time were supervisors aware of Kerviel's allegedly unlawful activities. "During three years, these managers earned colossal amounts of money out of bonuses based on the ever growing results that I was making for the bank. "Jerome Kerviel has been lying to his superiors, he has been lying to his colleagues. He has been doing fake e-mails, he has been doing fictitious transactions," the bank's communications director Caroline Guillaumin told CNN. "It doesn't make any sense to say that the bank knew, because if the bank had known, why would Kerviel have done all that to conceal his positions, whether that was transactions or results?" she added. In his book, Kerviel likened the trading floor to a "house of prostitution" where traders were encouraged to make money regardless of the rules. Kerviel's assistant, Thomas Mougard, was cleared last August of all charges relating to the alleged fraud. At the time Societe Generale's the losses were made public, it ranked as one of the world's largest trading scandals. Shortly after announcing the "rogue trading" loss, the bank revealed a multi-billion dollar writedown due to the U.S. subprime mortgage crisis. The collapse of Lehman Brothers followed, fueling the wider global financial crisis. Societe Generale's revelation of the unexpected loss, along with the subprime writedowns, shook confidence in the bank's leadership under chairman and chief executive Daniel Bouton and his co-chief executive Phillipe Citerne. Both offered their resignations over the losses but were rebuffed by the board. Bouton relinquished his role as chief executive amid fierce criticism of his performance, however, and eventually left in April 2009. In a five-page statement released in late January 2008, Societe Generale said Kerviel started working at the bank in 2000 and spent his first five years there overseeing traders. "Consequently, he had a very good understanding of all of Societe Generale's processing and control procedures," it said. He later became a trader for the bank involved in arbitrage -- the practice of buying a portfolio of financial instruments in one market and selling a similar offsetting portfolio at the same time that had a slightly different value. The idea is that, in such trades, the risk of major loss would be minimized. In fact, Kerviel's first portfolio of financial instruments -- in his case, futures -- included genuine operations, but the offsetting portfolio proved to be "fictitious," the bank said. "As a result, the trader was able to hide a very sizable speculative position, which was neither consistent with nor related to his normal business activity for the bank," Societe Generale said. It said around mid-January 2008, bank officials detected "abnormal counterparty risk," and Kerviel's explanations led to additional controls being placed on his activities. An investigation began January 18 and the bank said the next day the trader had admitted to "committing unauthorized acts and, in particular, creating fictitious operations." By early afternoon on January 20, the bank's fraudulent position had been calculated at approximately €50 billion, which was worth $73.6 billion at the time but is now closer to $59 billion because of the weaker euro. The process of unraveling the allegedly fraudulent claims coincided with falls on Europe and Asian markets, exacerbating the loss. By January 23, 2008, "the unwinding" was completed and the total loss calculated at €4.9 billion ($5.8 billion). At the time, the figure converted to a dollar figure of around $7.2 billion.